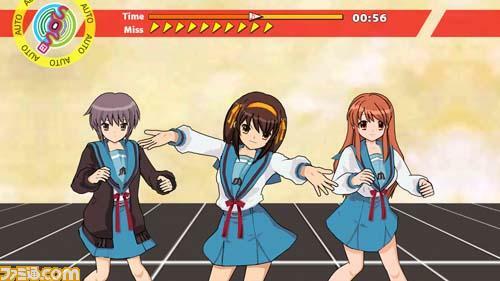 New details and new screens have emerged for the new Haruhi Wii dance game. Like everyone may have figured, you will hold the Wii-mote corresponding to the icons given to you on screen. 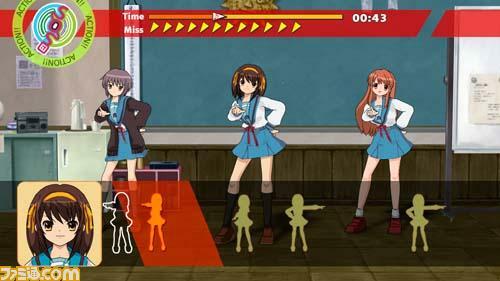 It’s a standard based timing game like Guitar Hero, or Dance Dance Revolution. The red bar gives you an idea on when you need to do the move. However, like other similar concept games, if you just listen to the music, you will know when to do each move. Successful moves equals more points and with enough, you will move onto the next stage. Timing is rated by a Miss, Good, Perfect rating system. The story mode is divided into chapters. The point of the story has not been revealed, but lets just say, you will be dancing a lot. The free mode lets you dance with your favorite music, background, and choice of clothing. Up to 3 people will be able to play simultaneously. 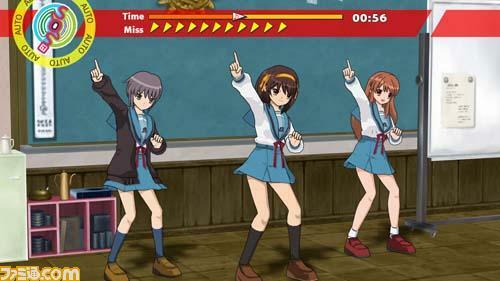 This is more like your standard Wii party mode. 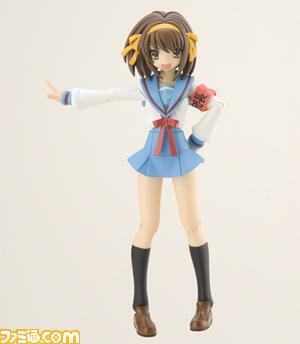 Along with the game, the DX release will also feature a Haruhi figure. 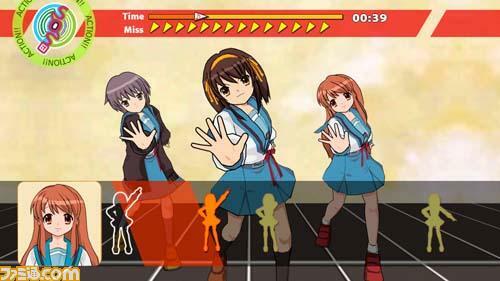 I can see this game sparking a lot more new Haruhi dance movies. We can only hope, because I’m tired of the current one! Find more screens at Famitsu. 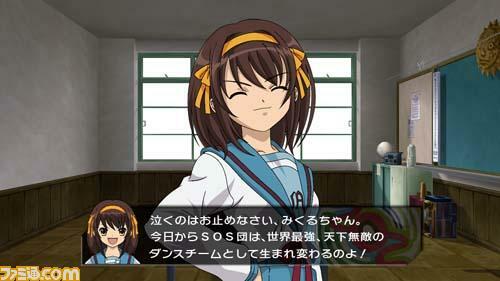 Info from Haruhi TV.